Celtic Stencils like the art of the period often depict intricate knotwork and repeating patterns. It has seen a recent revival due to it's popularity in Tattoo Stencils. 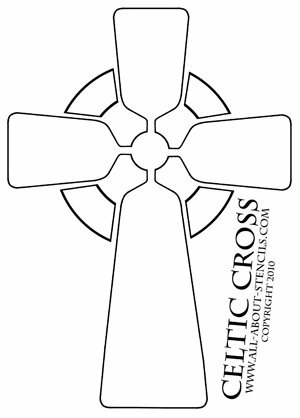 Celtic art is ornamental, avoids straight lines and only occasionally uses symmetry. This style often involves complex symbolism without the imitation of nature central to the classical tradition. Celtic art shows an influence by a variety of styles and from other cultures in their knotwork, spirals, key patterns, lettering, zoomorphics, plant forms and human figures. 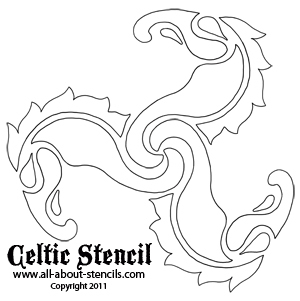 Celtic stencils like this one depict a style of art that has evolved over a huge expanse of time, geography and cultures. Celtic Art shows some artistic continuity in Europe from the Bronze Age and also the preceding Neolithic age. However, archaeologists generally use "Celtic" to refer to the culture of the European Iron Age from around 1000BC onwards, until the conquest by the Roman Empire. Art historians typically begin to talk about "Celtic art" only from the La Tène period (broadly 5th to 1st centuries BC) onwards. This stencil design is from our extensive Free Stencils Collection. There you will find many other styles like Art Deco Stencil and Toile Stencils. My goal is to motivate you to create by showing you how easy it is to be an artist with stencils. It is said that the Art Nouveau Style has been influenced to some extent by the Celtic Stencil Style. To learn more about this art form go to Art Nouveau Stencil and get a free stencil too. Hey! Don’t forget that I (and everyone else) want to see what you have done with your Celtic Stencils. 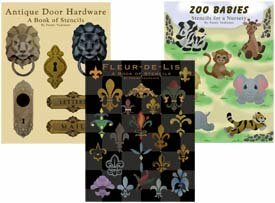 Just click on Stenciling Projects Stenciling Projects to get your masterpiece showcased here on this web site. Won’t that be exciting! Or if you have any questions or want to share information join in on the Stencil Blog. Click here to Join the Stencil Blog Well, I hope to hear from you soon. Return to Home Page from Celtic Stencils. Return to Stencil Designs from Celtic Stencils.